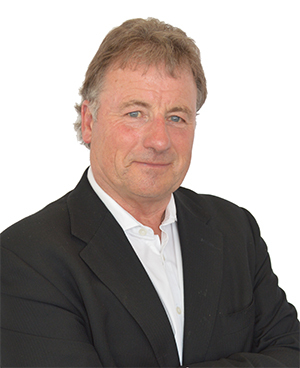 The recent Company Voluntary Arrangement failure and subsequent demise of British Home Stores (BHS) hit the headline news – none more so than during the recent joint parliamentary committee of MPs. Here you may recall it was suggested that the last owner of the business had threatened to kill a senior colleague! However, behind the lurid headlines, the story of BHS illustrates what happens when companies, and indeed individuals, get into a position where they are unable to pay their debts. Whilst presenting a recent training session, I was asked to explain some of the terms used within reports regarding BHS. The starting point is to understand that collecting money due from customers within terms agreed at point of sale is an essential element to running a successful business. The process does not always run smoothly and for various reasons, some payments do not get made within agreed timescales. Under normal circumstances, delays and disputes can be resolved between the parties involved. However, sometimes a legal process is started and the matter gets referred to a county court, the judgement of which will provide a legally enforceable remedy. Such legal action is only effective where funds are available to pay a creditor after judgement. The situation becomes much more serious when a company runs out of money and is unable to meet its debt obligations. In such circumstances a company can be considered ‘insolvent’, and to have any chance of surviving as an unchanged business entity they would have to consider emergency measures. The first step in this process is to convince the creditors that their interests are best served by allowing them time to make payments rather than simply forcing their closure. Providing 75% of creditors (by debt value) agree, a company might enter into a Company Voluntary Arrangement (CVA). This means they would commit to make payments if a reduction in the amounts payable and/or more favourable repayment terms can be accepted. Negotiation and implementation of such an arrangement must be through an insolvency practitioner. Such an arrangement was agreed by BHS in March 2016 when the landlords of the properties it rented agreed to reduce rents due under original agreements, and had BHS met the terms of its Company Voluntary Arrangement it would have continued trading with hope that over time, it would have been restored to financial health. 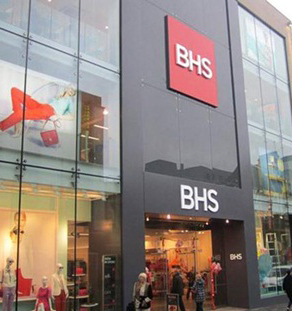 Unfortunately as we now know, BHS Company Voluntary Arrangement failed and we moved into a new process known as Administration with the appointment of an administrator on behalf of the creditors. The role of an administrator is to protect a company from it’s creditors while a restructuring plan is completed. Control of the business is handed from the directors and managers of the company to a licensed insolvency practitioner appointed by the courts. Administrators will examine whether the company can be saved and may try to sell the whole business, or part of it, as a “going concern” while stripping out costs. The important thing to remember about the role of administrators is that they are working only on behalf of the creditors and their sole objective is to recover as much money as possible for those creditors with no direct requirement to meet the needs of other stakeholders (e.g. staff and customers). Administrators will decide a time period within which the sale of parts or all of the business can be negotiated and will do all they can to encourage as many parties as possible to register an interest. As we now know attempts to sell all or part of BHS were not successful and after 88 years trading the company now faces liquidation. This process involves the break-up of the business by the administrator and the sale of all assets, the proceeds of which will be passed to the creditors, and another famous name will disappear from our high streets.